Very pleased to see the Improve your sight-reading! Teacher’s book now available in Chinese. I've just finished a big project re-writing all the wind sight-reading books to support the new syllabus. Often people ask me whether I enjoy this kind of work and my answer is absolutely yes! There really is no excuse for pupils to find sight-reading 'difficult', unpalatable, or, in any way, a less enjoyable part of their learning. 1. Pulse MUST be understood. Can they simply clap a sustained and even pulse? In two, three, or four time (which will do nicely for the first few grades). Do they understand what this means? 2. Can they then subdivide this pulse? Clapping crotchets and thinking, speaking or maybe singing quavers for example. Or tapping crotchets with one hand and quavers with the other. But not just doing it - it's doing it, and really understanding what they are doing. 3. Can they then look at an appropriate sight reading exercise (rhythm ones always first!) - tap the pulse with one hand and the rhythm with the other, or play the rhythm on one note, or sing the rhythm (always whilst tapping the pulse, with a foot maybe or with a metronome). Do they really understand how the rhythm fits the pulse? They MUST! By the way - if it's 'difficult' it's the wrong one to be doing! 4. Do they really know the key? They MUST! Play the scale lots of times. Not a few times but LOTS of times! They must know the scale. 5. That's it really. Then they will know what to do - they will understand (properly understand I mean) the rhythm and the pitches. And that will mean there will be sufficient brain space for them to put the expression in as well! Be scrupulous about this. Don't cut corners. And your pupils will thank you for it more than you can know! The new series covers Flute (Grade 1 - 8), Clarinet (Grade 1 - 8), and Oboe, Bassoon and Saxophone (Grade 1 - 5). Hope you enjoy using them and find them helpful. Just back from an amazing trip to Finland. I was there to take part in a three day clarinet festival that was centred around my music. Quite a humbling situation in which to find myself! I gave lots of lessons, a short recital, some masterclasses, a talk and some general coaching. I also wanted to learn as much as I could about their education system - internationally regarded as one of (maybe the) best in the world. What I found was really fascinating. The school system is virtually the polar opposite to what we find in the UK (and many other countries). Children attend school from 7 - 15.. then they choose either to go to high school, which prepares them for university or music conservatoire, or go to a vocational college which teaches them virtually anything else. The school day runs from 8 - midday - then they are free to go to music school (one in every town), develop their interests, do sport or hang out with friends... There are few 'national' exams to have to worry about, just three in fact - Finnish, English and Maths, which they take at age 15. There is no (or very little) homework set, there is no school uniform. Parents can visit whenever they like - to sit in on lessons or talk to teachers. You can enter a school without having to sign forms, wear a badge or have your picture taken. There are no hierarchical systems in place - there is a head and a deputy head in each school, but no heads of year group or heads of anything else. There are just teachers - who are very well trained (typically 7 years) - who teach and enjoy teaching, and there are pupils who enjoy learning. They speak 3 or 4 languages fluently by the age of 15 for example, and are much more than adequately educated in a host of other subjects. There are no good or bad schools - they are all the same. If you move to a new area the question,''Which is the best school around here?" would never enter anyone's mind. The wonderful thing about all this is that there is virtually no stress. Teachers like teaching and pupils like learning. Extraordinary! All the young clarinettists I met (and I met about 70!) were enthusiastic, well taught and deeply engaged. I met many music teachers too - they were equally so. 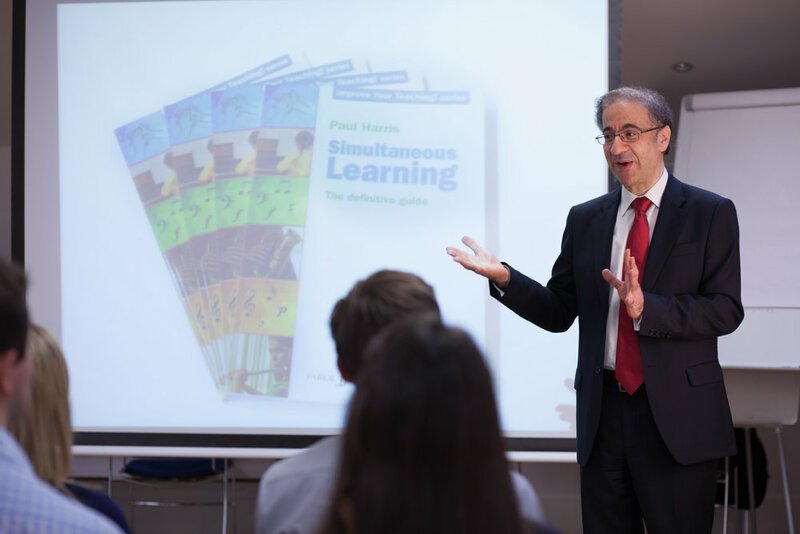 The prevailing teaching approach is probably rooted in more traditional ways - I gave an introductory talk on Simultaneous Learning and (as in China) it generated a considerable amount of interest. I think they were particularly interested by the positive nature of always setting up sequential do-able tasks and making pertinent connections that the students could immediately understand and process. How to Improve your sight-reading! with new editions for oboe, bassoon and saxophone to follow soon. It's always been my contention that everyone can learn to sight-read. It just takes some methodical teaching and learning. I hope the Improve your sight-reading series presents enjoyable and systematic material which, if worked through carefully, will ensure sight-reading success. Mention Baermann, Blatt, Muller, Cavallini, or Stark to any self-respecting clarinetist and the response ought to be one of great reverence and gratitude. Why? Because they’ve all contributed to the huge depository of clarinet studies. That hoard of wonderful unaccompanied pieces that help us to improve our playing. Studies are an essential part of a clarinet player’s (and indeed any instrumentalist’s) development. The fact that we don’t generally perform them allows us to approach them in a rather different way, in comparison with the way we approach our pieces. Of course it’s not that we shouldn’t play or teach studies with the same degree of musicality and artistry that we bring to pieces. It’s knowing that they won’t be performed, knowing that they are just being studied for our own benefit, that puts them in a rather different psychological place in our minds. Studies are there for us to concentrate purely on our playing and on developing our technique. We can focus all our preparation into the nuts and bolts of making the piece work technically without worrying about how other ears (apart from our teachers’, perhaps, and possibly an examiner!) might perceive it. When approaching a study piece with a student, I start by first identifying the fundamental technical areas – for clarinetists, for example, these are tone, articulation and finger work. I then break these topics down into their myriad of constituent parts. For example, within the area of tone, there are studies to explore the taking and extent of breath; evenness, gradation, colour and beauty of tone; the whole range of dynamics and changing dynamics; controlling tone in different lengths of note and in different registers, and much more besides. Obviously each study has a number of other ‘active’ ingredients moving alongside the central objective and it is this amalgam that makes them really interesting to explore. Once you’ve identified the key ingredients, including the key of the study, I always encourage students to then examine that key (the importance of which can never be underestimated!) through its scale, arpeggio and any other related patterns, and then by making connections with the other ingredients. And we’ve explored all of this before actually playing from bar 1! Take an example study from More Graded Studies for Clarinet Book 2. The study, called Zazz, in F major, features key ingredients such as articulation colour, crossing registers, syncopation and wide leaps. So, with a 4-time pulse in mind, initial lesson or practice activities might include work on the scale and arpeggio over a two-and-a-half or three-octave range, using different kinds of articulation (accented, non-accented, staccato) and thinking about clean and neat finger movement across the registers. Next you could try playing the scale or arpeggio with each note off the beat (or a combination of notes on and off the beat). Then how about playing F major in octaves – maybe also in tenths. Then more mixing and matching ingredient work could follow, combining any of the ingredients. The rhythm of the first two bars would fit a one octave scale perfectly – having got this under control, extend the pattern over three octaves, add the various articulation patterns. Next you might improvise some slightly more extended phrases using these ingredients and trying to give them a jazzy-like character…the possibilities are endless! This is all imaginative preparation very much in the spirit of Simultaneous Learning – making connections, working with the ingredients in a logical, positive and musical way. And all this before we’ve tried playing from bar 1! Once into this kind of work you might look deeper still and notice there are also some C, B flat and D flat major, D and E minor triadic patterns – more ingredients to explore and combine. Finally, when the decision to begin at bar 1 is finally made, so much of the piece is already understood. Ingredients have been explored and can be instantly brought to life in a musical and vivid fashion, and the technical objective of the study can be fulfilled, and some! Let’s take studies seriously - they can have an extremely beneficial role to play in our, and in all our pupils’ development. It was with a strong sense of anticipation and exhilaration that I touched down at Vienna airport for my first ever visit to this wonderful city – in many ways the cultural centre of the world. I was only scheduled to be there for two days but was determined to pack in as much as possible. The main part of those two days was speaking to teachers at the Vienna Musik Schule (six hours each day!) on Simultaneous Learning, The Virtuoso Teacher and other topics. The second evening we visited Beethoven’s apartment. Ludwig lived on the fourth floor – up many many steps. We arrived only ten minutes before closing and I had the impression that the custodian was not best pleased to see us! Nonetheless we had time for a good look round. Though I really wanted to play a few notes on B’s piano another custodian’s rather severe and protectionist glance at me as I approached the keyboard suggested maybe looking rather than touching! Again, the excitement of being in Beethoven’s rooms was tangible. We also visited Haydn’s house (closed unfortunately) and by the time we did (and had consumed a wonderful piece of Sacher Torte) we had to leave Schubert, Strauss, Mahler, Schoenberg and the rest for my next visit. The fact is that Vienna exudes culture – the air is heavy with it and the Viennese and Austrians in general delight in it. And they are keen for the young to be immersed in it too. Thus, all children have access to free music tuition by a large team of very committed teachers. But there was one serious issue: all children have to do a ‘one-size-fits-all’ exam after a certain amount of learning time, in order to access these free lessons. The Government, who pay for the lessons, understandably want to see that their money is being well spent. But is an exam the answer? It turns out that this exam causes both students and teachers quite a lot of stress. And this caused me to offer some rather provocative thoughts. My deep dislike of our public exam system in the UK stems from the fact that all children are different and, most significantly, learn at different speeds. We all have (quite substantially) different brain processing rates – that’s how it is and that’s fine. So we need to create an education system that acknowledges that. The graded music exam system does this, if used at its best, in that pupils are never required to enter. They choose to when they are ready. The one-size-fits-all approach of public exams only suits a small number – and the rest end up thinking: I’m not good enough… I can’t do it… I’m a failure. And the number of learners with mental health problems in this country, which result from our public exam system should ring far more alarm bells than it seems to do. I suggested that the Austrian teachers write letters to their government expressing their concern that the exam idea is not a good one. To replace it we simply need to define what happy and well-developing young musicians look like - at any time. In my opinion they look something like this: smiling, enjoying their music, thinking always how well they are doing in comparison to their own previous work. They shouldn’t be trying to fit in with someone else’s set of one-size-fits-all demands and requirements that may indeed suit some, but almost certianly won’t suit the majority. The teachers seemed to agree with this. So, if I haven’t stirred things up too much, I’m looking forward to my next visit! Another new year! Any resolutions in sight? Another new (academic) year approaches! Hope it’s going to be a happy one. 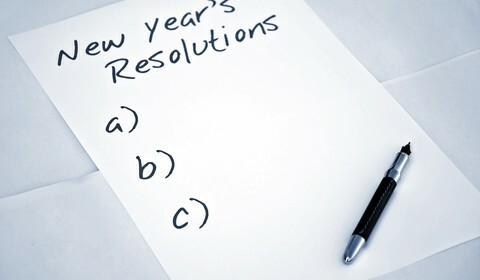 If it’s going to be a really happy (and productive) one, we need to be armed with some new year’s resolutions. So have you made any, or is it going to be a case of business as usual? If you haven’t made any yet – and forgive me for being a little presumptuous – I’d like to get in on the act! Actually I wrote a post on this subject in 2015 (which you can find on my official Facebook site). But I’d like to explore a slightly different and more personal angle this year. Ok – none of us ever want to be wrong about things… or at least admit that we might be wrong, but it is possible! So let’s get into the habit of questioning our choices, our decisions, our strategies, and our suggestions. Maybe they work, maybe they don’t. Maybe they work for some and not for others. And of course it’s much easier to go with what we’ve always gone with. But perhaps we might find some stimulating new ways forward with a bit more consideration. Our pupils certainly deserve it. Somewhere in our minds we have some pretty strong beliefs and values, and some weighty and deeply help principles that shape and determine the way we teach and who we are musically. Well, let’s subject these beliefs to some hefty rigorous evaluation and if we come out with the same ones after having done so, then fine. On the other hand, we might discover that some interesting recalibration could take us to exciting new pastures. Actually we can subject anything to this energizing scrutiny. To what do we attribute our pupils’ success or failure, for example? How do we know if a pupil has learned what we were trying to teach them? Why do we think some of our pupils practice more than others? Are we prepared to let pupils do things they don’t understand? Do we have expectations for pupils? Why? Are these helping them or hindering them? Are we teaching to feed our egos or for the greater good of humanity? Big questions! How about some smaller sized questions then? When and why do we teach scales? What are our favourite words to describe musical character? With what kind of pen or pencil do we write out our pupils’ practice notes (if we do write them notes)? How do we greet our pupils? How do we send our pupils off at the end of lessons? What are you thinking about this? Good questions… I’m on for a bit of soul searching? Or maybe Unnecessary questions – I’ve got quite enough to think about. Well… it’s up to you. But if we do allow ourselves some time to question some of these things (and there are many more!) we can only benefit. And benefit in really significant ways. So here’s the resolution for this new academic year: question everything!